Share The Daddy Mack Blues Band's EPK! The city of Memphis has always had a rich blues heritage. The scene there continues to thrive, not just along the "Hollywood-ized" Beale Street, but in the small neighborhood clubs and taverns around the city. The Daddy Mack Blues Band evolved from the remains of the Memphis band the Fieldstones, of whom I have often proclaimed to be one of the best blues bands of the last 20 years. 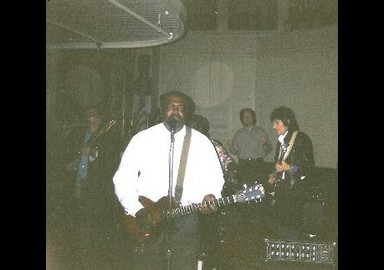 After the demise of the Fieldstones in 1994, the remaining members continued as the house band at the legendary Green's Lounge in Memphis. The band is lead by "Daddy" Mack Orr, who handles the vocal chores and contributes excellent raw guitar to their new album "Fix It When I Can." Orr is a rough-hewn vocalist, with not a lot of range. But he packs a lot of soul and emotion into each song. 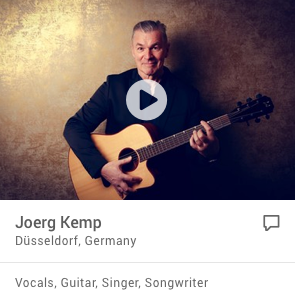 He's also a strong blues guitarist, with a soulful, resonant sound to his playing. Other band members include brothers James and Harold Bonner on guitar and bass, respectively, and Wilroy "Wolf" Sanders, Jr. on drums. Scott Henley contributes guitar work on three of the album's tracks. Like the music of the Fieldstones, "Fix It When I Can" is funky, downhome blues at its best. Eight of the ten cuts are Orr originals, with covers from Garry B.B. Coleman and Donny Hathaway, the latter a funkier, but still raw instrumental version of "The Ghetto." Daddy Mack takes this classic and gives it a Memphis neighborhood bar room groove. One of the highlights of the disc is the slow blues "I Don't Understand You Baby." This original is reminiscent of B.B. King's "The Thrill Is Gone," but with more intricuate guitar work. "Giving You My Money" is another strong number, containing great guitar work over a funky bass beat. Orr's strongest vocals are on the slow blues "You Left Me One Time," to which he injects a strong dose of Memphis soul to the blues a la Little Johnny Taylor. His songwriting talents shine brightest of "Razor Blade," as he sings "...I would slide down a razor, baby, into a pool of alcohol to be with you..." Ouch! The Daddy Mack Blues Band is a spin-off of the Fieldstones, the juke rockin’ Memphis band whose two High Water albums have been issued on CD by HMG. The members of Daddy Mack - singer and guitarist Mack Arthur “Daddy Mack” Orr, guitarist James Bonner, bassist Harold Bonner, and drummer Wilroy “Wolf” Sanders, Jr. (whose father, another ex-Fieldstone, cut a solo album for Shangri La last year) - were part of the Fieldstones until the group’s demise in 1994. Fix It When I Can is not as funky or as ragged - or as much of a revelation - as the Fieldstones first album was. 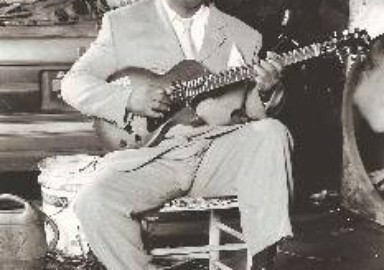 And, while the Fieldstones were a collective effort featuring ever-changing lead vocalists, Daddy Mack is focused on its leader, the Como, Mississippi-born Orr, who displays a predominant Albert King influence (most derivatively on I Don’t Understand You Baby) and a straight-forward vocal style throughout this disc. Like the Fieldstones, however, Daddy Mack’s blues are geared for dancing and partying, spurred on by the Stax-inspired grooves of the Bonners (veterans of the Memphis R&B scene) and Orr’s sharp guitar leads. Notably, the group relies on Orr’s eight originals - all of them well crafted - to carry their album rather than spinning out standards like so many other club-oriented bands. The two covers are a version of B.B. Coleman’s It’s Almost time to Leave and a funky instrumental take on The Ghetto, the Donny Hathaway song that has become a Memphis/Mississippi juke joint staple. Fix It When I Can is a solid, no-frills set that doesn’t need any fixing-if you’re looking for real Memphis blues, bypass Beale Street and go find Daddy Mack. The albums title refers to Daddy Mack Orr’s daytime gig as a Memphis auto mechanic, but if this disc gets the exposure it deserves, Orr will be able to put away his coveralls and play blues full time. With a sweet yet stinging tone to his guitar, and warm, husky talk-sung vocals - both comparable to his major influence, Albert King - Orr adds a thick dollop of R&B to his midtempo tunes. But it’s the swampy, greasy feel oozing from the grooves that pushes Fix It When I Can into the cruise lane. Taken individually, the songs don’t redefine the R&B/blues genre. Only on the instrumental cover of Donny Hathaway’s classic “The Ghetto,” where Orr and his trio dig into a repeated riff until his five-minute solo takes control, does the album push boundaries. The hypnotic tune’s construction recalls the way Creedence Clearwater Revival molded “I Heard It Through the Grapevine” into a swamp-blues classic as Orr’s guitar gently builds atop an insistent rhythm section. But the other nine tracks prove there’s more to soulful blues than the smoking, overdriven guitar and gritty vocals Mack smartly avoids. Like many gret bluesmen, Orr knows how to work a groove. He takes his time, letting the band establish a mood before adding his expressive voice and emotional guitar, gently kneading and molding the tunes but never going for the kill. For some blues musicians, that could be the kiss of death, but in Orr’s strong hands it’s tremendously effective. With his subtly magnetic approach, Orr won’t be challenging King Albert for his crown, but he delivers a thoroughly enjoyable disc that stays on a simmering boil without exploding out of the pot. Bassist Harold Bonner, his brother, rhythm guitarist James Bonner (both established Memphis sidemen who have played together for 30 years) and drummer Wilroy “Wolf” Sanders are given time to lay down a solid foundation. Fix It When I Can is proof that this guitar mechanic needn’t mend automobiles for living any longer. The album hums like a well-tuned engine cruising down the highway of life. Daddy Mack Orr has firm control of the wheel. I was born in Como, Mississippi in 1945. I always loved the blues, even when I was a boy I used to listen on the radio to Albert King, Little Milton, BB King and I love what them guys do. They influenced me a whole lot. I had an old guitar and would mess around with it a little bit. We’d go round to different people’s houses playing and they’d dance and gamble. I moved from Mississippi to Memphis in ‘65 and I’ve been here ever since. I moved to Memphis to try and get a better job - you know, make more money. You had to start at the bottom and work to the top. You work one job, if it’s not paying enough, you work a while and then you try another job paying a little more. I have my own garage now - a little mechanic work - but I’m trying to get this music off the ground so I can back off the mechanic work. It’s getting kind of tough, all these new makes of cars. Several years ago I was listening to Albert King on the radio and I just had to get me a guitar. I said I was going to learn to play the blues and I started from there. I started with the Fieldstones. They were playing at Green’s Lounge and they needed a guitar player. I hadn’t really been playing out in a while and a friend of mine named Earl the Pearl said, “You wanna play?” and I says, “Yeah, I reckon I will”. I played with them that night and it was just a one-night deal. Then on the Saturday night they were playing their hometown—where they usually play on Saturday night—and they called me on the phone. “You wanna come and play with us?” I said “OK”, so I get down there and they say “We want you permanently”. So I played with the band for 3-4 years and then I started my own band. The Daddy Mack Blues Band gets a lot of publicity at the Center for Southern Folklore. Tourist people are always coming through, staying awhile. A lot of people would just be walking up and down Beale Street and they would come and say, “This is a place we want to go—this is a place we can really hear the blues”. I play mostly all over town, a lot of private parties, and we were the house band for the Redbirds baseball club the year before last. I’m hoping to do some traveling. I had a good experience here in Memphis with The Rolling Stones. They were in town and this guy at the blues foundation - a friend of mine Howard Stoval - asked me “Hey man, you want to play this party?” - I think The Rolling Stones will be there”. I said, “Yeah, I’ll play.” It was down at the Rendezvous, not far from the Center for Southern Folklore on Beale Street. It was the road manager’s birthday so they gave him a party. About ten o’clock, the whole band came in. We were playing so they went to the back and sat down, all of them sitting around a table. I walked around close to them, playing, and headed back to the bandstand. The I looked around and saw two guys running to the bandstand - it was Keith Richards and Ron Wood. They did a couple of numbers with us - I think they enjoyed it. We had a ball that night - we sure did. We’re pleased with this CD. Everything sounds good and it seems to be selling pretty good. I have quite a bit of original stuff I’ve written - some R&B, some Little Milton, B.B., and Albert King - I mix it all up to get a different sound. How do I decide what I’m going to write? - I’ve been to a lot of places. I work on cars, and I hear people talk. Some things sound good, some people joke with one another saying crazy stuff and I write it down. I pick out some words to put to it. That’s the way I’ve written my songs, from real life experiences. On July 1st, The Daddy Mack Blues Band appears at the Millennium Dome (afternoon) and Blues Alive in bishops Starford (evening). For tickets for the evening show ring Richard Pavit on 01371 820749. One of Memphis’ premiere blues acts, The Daddy Mack Blues Band. Led by guitarist and singer “Daddy” Mack Orr, the band has a raw, soulful sound that one critic fittingly described as “funky, down home blues at its best.” The band’s exciting showmanship and solid blues sound promise to get everyone on the dance floor before the night is over! Down home blues that brings blues in a new direction. All the members of The Daddy Mack Blues Band played at one time or another in the urban blues band from the 1970s, the Fieldstones. Raw blues that even B.B,. King, Muddy Waters, or Albert King would be proud of. When you listen to the music, you realize that musically The Daddy Mack Blues Band tries to make the listener appreciate what the blues is. If you need a release to help you out with your case of blues, then this your release. Memphis bluesman and auto mechanic Daddy Mack Orr contributed "Get Back" to last year's "Fried Glass Onions - Memphis Meets The Beatles," and became so enamored of British invasion music that he decided to do a full album. Here his working band and guest harmonica player Billy Gibson serve up bluesy covers of Led Zeppelin's "Whle Lotta Love." Eric Clapton's "After Midnight" and "Lay Down Sally" and Foghat's title track, plus a half-dozen others. Mack and the band all have ties to the great Memphis blues combo, the Fieldstones - all were members of the band during the early 1990s. When the Fieldstones finally broke up in 1994, they continued performing together as the house band at the legendary Green's Lounge. Since then, the band has been cranking out their infectious grooves around Memphis all week long. Individually, the members of the group have deep roots in Memphis' music tradition. Brothers James and Harold Bonner form the nucleus of the band, having performed together for over thirty years. Born and raised in Memphis, the Bonners grew up immersed in the city's R&B and blues sounds.